Finger wave hairstyles might be instantly associated with the 1920s or flapper culture, but this dramatic texture is making a big comeback in more modern looks. 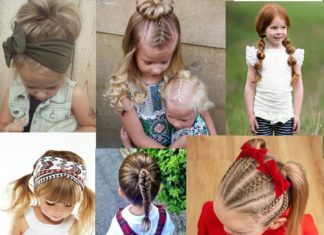 While the original finger wave styles were achieved by using your actual fingers and setting lotion to create the s-wave shape, modern women can get finger waves using a variety of heat styling tools. 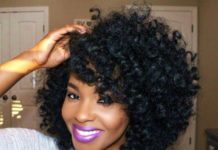 A few casual waves can be added with your flat iron, while a more dramatic, deep wave style will probably require a curling iron, pins, and at least a few hours. 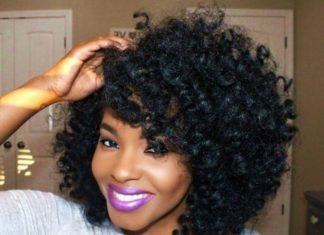 If you’re looking for ways to make this vintage glam texture a part of your modern mane, check out 30 of our favorite finger wave styles for all lengths of hair. Glamour meets edge in this sculpted finger wave pixie that’s perfect for ladies who love high fashion looks. 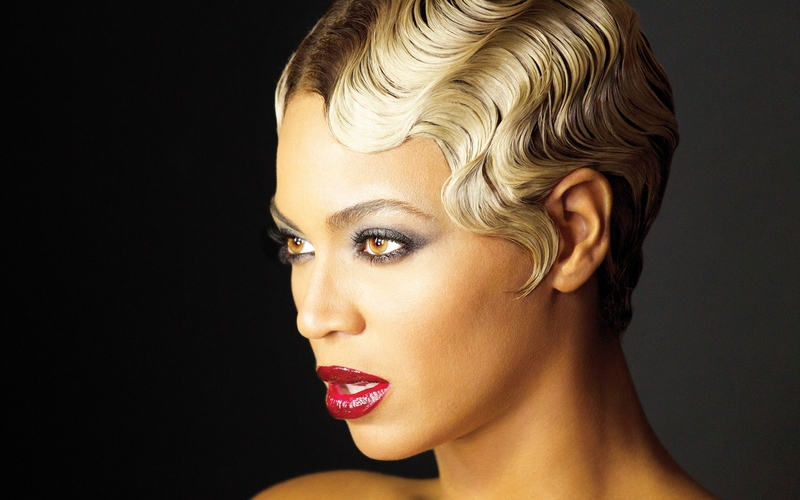 Finger waves can create a pure vintage glam style, but you can also use them in a more casual, modern look. Visible finger waves help add a pop of sophistication on days when you want to keep most of your hair covered and protected. 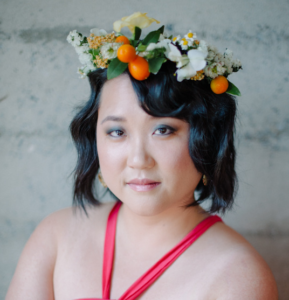 These lazy fingers waves are a soft and romantic way to add some texture to your bob hairstyle, either for a more casual affair or as a bridal hairstyle complete with a citrus and floral wreath. If you want to add some finger waves to your bridal style without looking too retro, try this sophisticated low bun updo with soft finger wave texture added in. 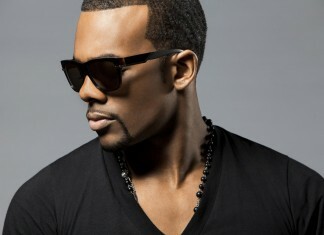 You can wear this style with any hair color, but some dimensional shades help to make the S-curves really pop. 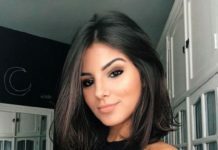 A triangle-shaped bob may be some women’s worst nightmare, but a recent surge in popularity among celebrities and fashionistas is giving this unconventional shape a big boost. 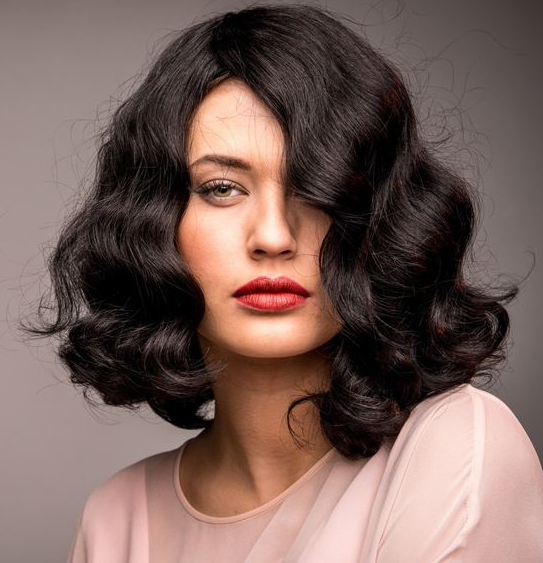 Finger waves at the roots and frizzed curls at the ends of hair offer up the perfect way to accentuate this shape, and you can wash the texture out when you’re ready for a more ordinary look. 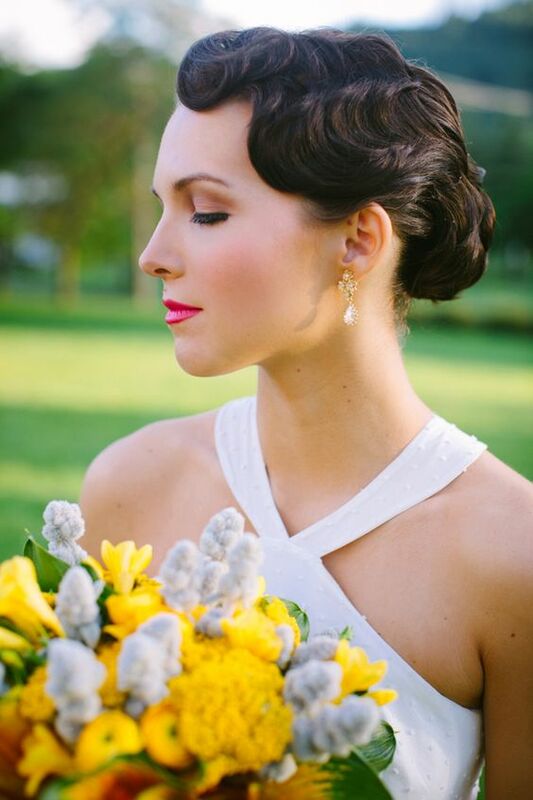 Wear finger wave texture with a classic bridal chignon for a style that mixes vintage and modern perfectly enough to be appropriate for any wedding ceremony. These luxurious finger waves have been sculpted to silky perfection, and look best on hair that’s been styled with high-shine products. 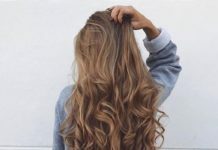 This hairstyle might not work for ladies who love to run their fingers through their long hair, as these perfect waves don’t do well with frequent tousling. These finger waves are a nice compliment to a bridal updo without completely taking over the look, and offer up just the right amount of flair to make you feel special on your big day. 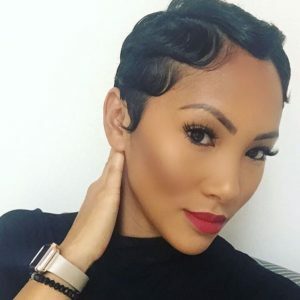 These finger waves lie quite flat around the hairline, but have more bounce at the back of the head, creating a multi-textured style that looks both vintage and modern. 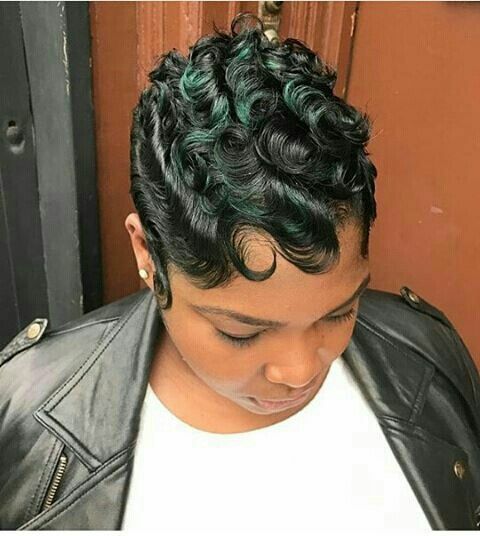 Hints of green highlights help to accentuate the curls without making this finger wave hairstyle look too busy. 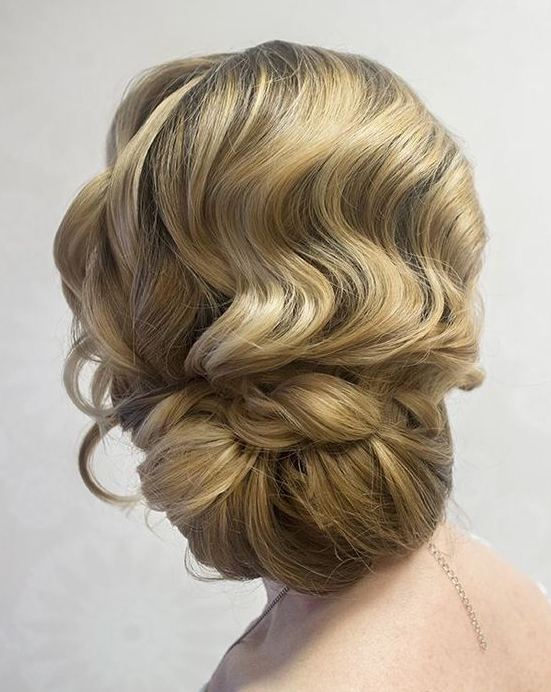 This low updo style is perfect for a wedding or other special occasion, with deep S-waves that can be created by curling sections of hair inwards with a hot iron and then pinning them in a roll shape to cool. 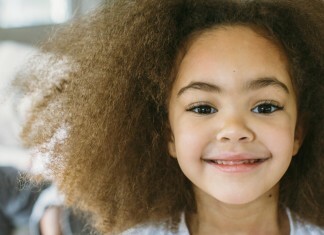 Once rolls have been set, remove them gently to preserve the wavy texture, then style hair as desired. This vintage glam finger wave hairstyle takes it straight back to the 1920s, offering up a perfect hairstyle for a costume party or flapper-themed wedding. For an extra authentic look, wear your finger wave hairstyle with these dramatic smoky eyes and doll-shaped red lips. Rather than lying flat against the head, these ultra textured finger waves create a dramatic shape that might not go with your everyday look, but is a perfect stand-out hairstyle for more special occasions. This incredible S wave texture will have people delivering you compliments left and right. Be sure to set these curls in wider sections to maintain a more even wave throughout your long hair. Deep waves offer up tons of texture to surround your face in this bridal style, and look more romantic than if hair was simply pulled back. A low bun ties the look together, making this a great choice for brides with backless gowns who don’t want loose hair to distract from the effect. If you’re looking for new ways to style your pixie, a finger wave technique will add new variety into your styling rotation. 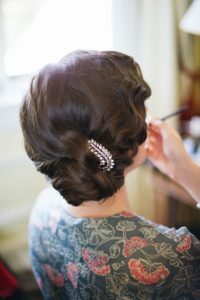 These soft and sophisticated finger waves offer up a more causal way to rock the vintage texture in your everyday life. If you’re looking for a touch of flapper-inspired style on your wedding day that doesn’t involve cutting your hair, this is the style for you. 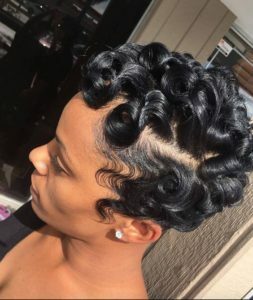 Finger waves create romantic face-framing texture, while curls throughout the rest of the hair create body and bounce within this pinned, faux bob hairstyle. 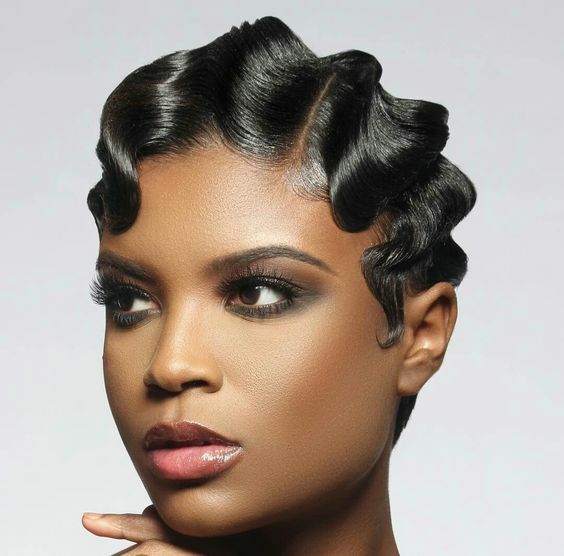 This pure-vintage finger wave style looks incredibly chic when paired with bold makeup choices like dark eyes and lips. If you’ve got super thick hair, finger waves can be a tricky texture to perfect, especially with a shorter pixie style. 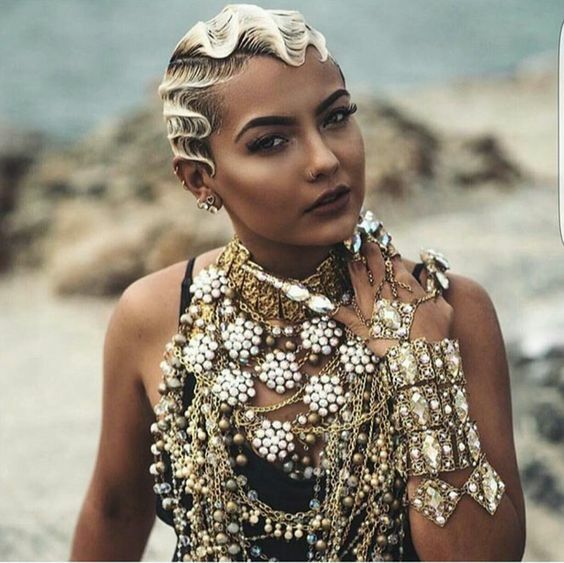 This look makes use of a deep side part, featuring more defined finger waves on the thinner side of the part and a less defined waves throughout the thicker section. For S-waves that don’t completely take over your long hair, try leaving a few inches after your roots uncurled. 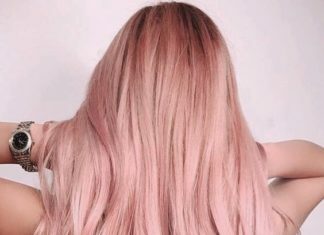 If you’ve got very thick hair, this technique can prevent your style from looking too high-volume at the roots, and makes for a perfectly subtle style if you’re a wallflower who still loves to look sophisticated. 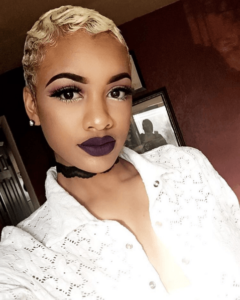 This pixie has an edgy wet look that leaves finger waves looking slick at the top of of the head, and featuring a more pronounced wave around the sides. Pair this vintage finger wave style with everything form a short, flirty dress to something long and flowy. 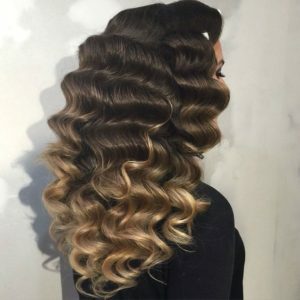 A little bit of frizz helps this S-wave hairstyle look casual and tousled, making it an easy point of entry for your first finger wave hairstyle. 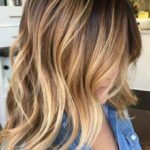 If you struggle to find new ways to style your close-cropped hairstyle, a finger waved look can open up a world of new styling possibilities. Hair doesn’t need to be very long to retain this wave pattern, while product keeps hair looking slick and defined instead of puffy. 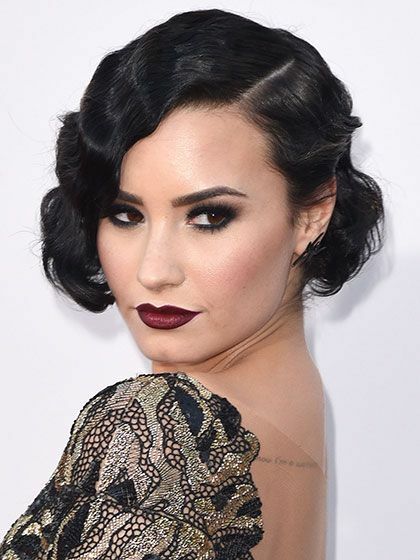 Demi Lovato wears this vintage finger wave hairstyle with a dose of modern edge, and uses a deep side part to create a dramatic sweep of hair across one side of the face. This style pairs perfectly with backless dresses in both retro or more modern silhouettes. 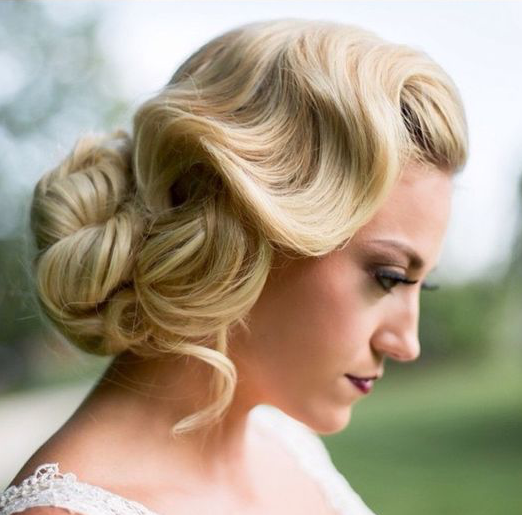 Bouncy pin curls create lots of texture and dimension throughout this pixie hairstyle, while a flat finger wave technique is used along the edges. This adds some extra glamour but also offers up a practical way to lay down edges without them looking like an afterthought. This finger wave hairstyle features soft texture around the face, while the rest of hair is pinned into a faux bob that creates a flirty silhouette with no cutting required. We love this style for prom girls who are looking for something glamorous and a little bit different. 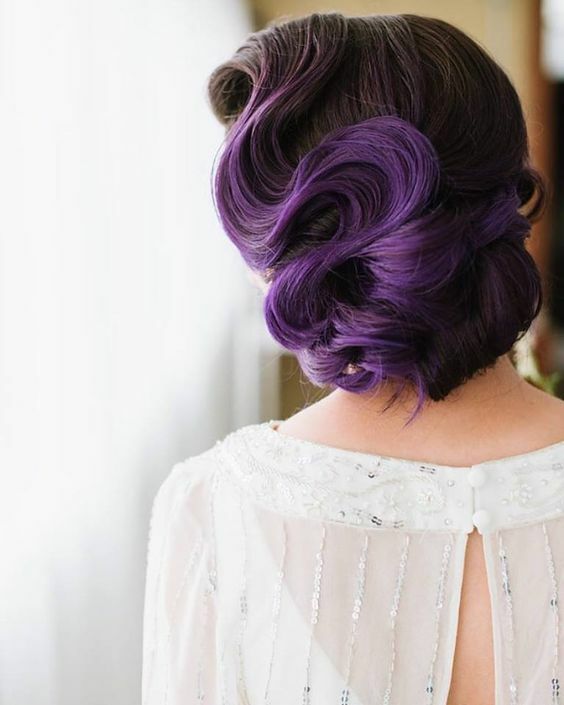 If you want to go full-on glam for your finger wave hairstyle, trade in soft and subtle styling for this high-shine, strong hold style that completely commits to the look. Far from subtle, this hairstyle goes best with glamorous gowns reserved for decadent galas or your own glitzy bridal style. 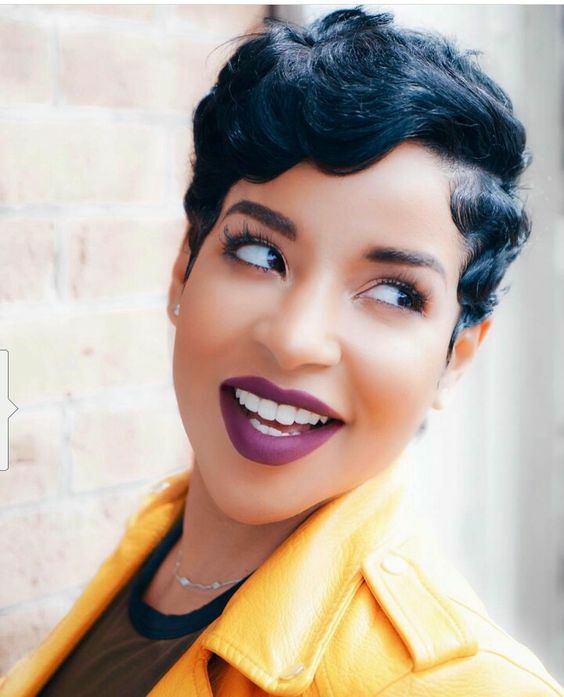 A very short pixie makes an excellent canvas for finger wave hairstyles. The pictured look keeps things soft and simple, creating an everyday finger wave look that isn’t too heavily defined. 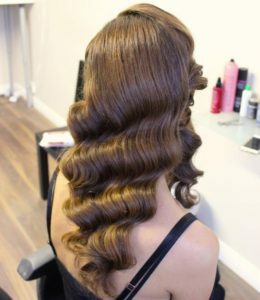 Featuring a more unusual styling technique, this finger wave style is textured at the roots, while the rest of long hair is left straight. 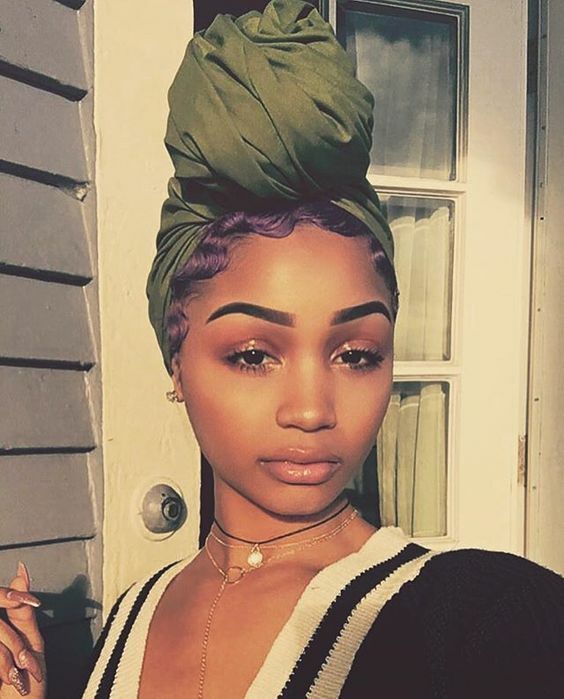 It’s a bold hair choice that’s best combined with simple, understated choices in your makeup and outfit. Use a brushed out technique or work with day-old finger waves to get this lazy, barely-there texture. Putting a futuristic spin on the finger wave hairstyle, Ciara’s metallic silver style is held in place with visible clips instead of the usual combination of product and hidden pinning. 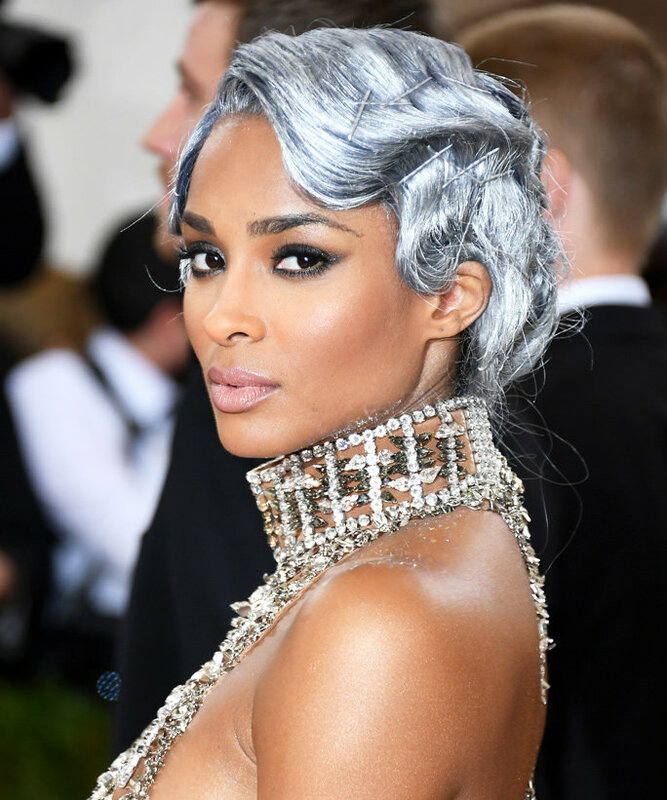 While you might not be attending such a high fashion event, this style is a good example of the many different ways finger waves can be fixed in place.